One of the downsides to running a blog the way that I run a blog is that I don’t always have the opportunity to respond to news as it breaks. As such, in writing about the passing of director Tony Scott, pretty much everything that I would say has been said by the time I can publish this, and far more eloquently than I could ever hope to say it. Obviously, I never knew Tony Scott personally, so I won’t comment on the man himself – although the tributes from those who did know him are deeply moving. 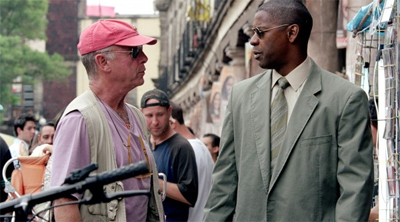 I knew Tony Scott as countless film fans knew the director, through his work. And that work meant a lot to me. Chernobyl Causes: At What Point Exploitation? This week sees the release of The Chernobyl Diaries, a horror film from producer Oren Peli, the filmamker who gave us the superb Paranormal Activity. However, I can’t help wonder if it is a little “too soon”for a horror based around the nuclear disaster that occurred in the Ukraine in 1986. It has been over a quarter of the century since disaster occurred, and yet I’d be lying if there wasn’t a faint sense of exploitation around the film, which sees a bunch of kids (American, naturally) touring the site of the catastrophe and uncovering all manner of unpleasantness. Still, it isn’t the only exploitation horror ever made, and I can’t help but wonder when a subject is or isn’t fair game. 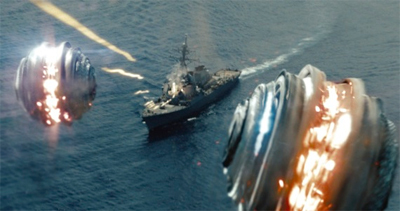 Battleship is a big American blockbuster. And, to be fair, it falls pray to a large number of the pitfalls of those sorts of films. There’s more action than thought. There’s lots of CGI filling the scenes. It rigidly adheres to a formula. It’s characters aren’t developed beyond shallow archetypes. However, I can forgive most of these flaws because Peter Berg actually makes this fun. I can very honestly and shamelessly admit that this was the most fun big dumb blockbuster that I’ve seen since Independence Day or perhaps The Rock. And that’s quite a compliment. It’s never anything more than it claims to be, but does well not to take itself too seriously.